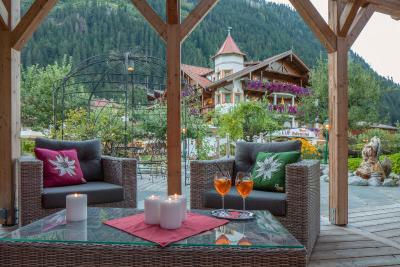 Lock in a great price for Hotel Edenlehen – rated 9.4 by recent guests! Food was outstanding - the best. beautiful views of the mountains. Great wines by glass. Nice pool with mountain view. Staff were amazing, always getting the extra mile The food was excellent!! 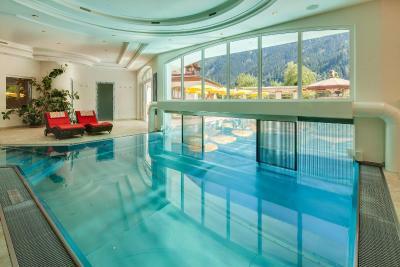 Excellent pool and health facilities. 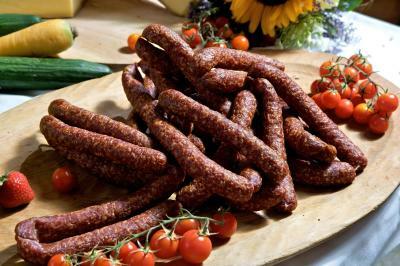 Food of very high standard. Comfortable hotel with very friendly staff. A little away from the centre of Mayrhofen but hotel mini bus service is excellent with a very friendly and helpful driver. Food is very tasty. Spa facilities excellent. 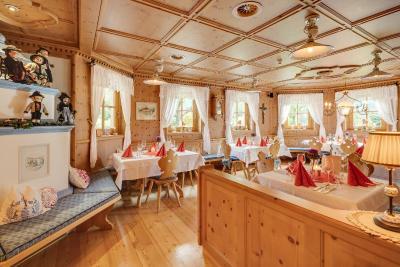 Goog location near to mayhofen center in a quite area. Really good room. Spa and the outdoor pool was really nice. Breakfast and dinner were also really good. Lovely big room, fab comfortable beds, nice balcony, brilliant pool and spa and the food was fantastic. It isn’t really walkable to the ski lifts but we had a car and drove. Food was fantastic, hotel was so friendly and greta with just the most amazing views. Would very highly recommmed. 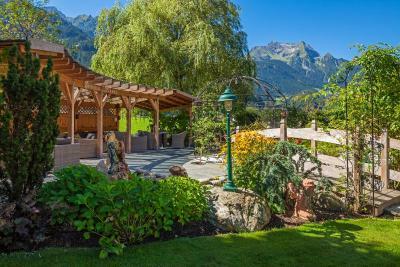 Hotel Edenlehen This rating is a reflection of how the property compares to the industry standard when it comes to price, facilities and services available. It's based on a self-evaluation by the property. Use this rating to help choose your stay! 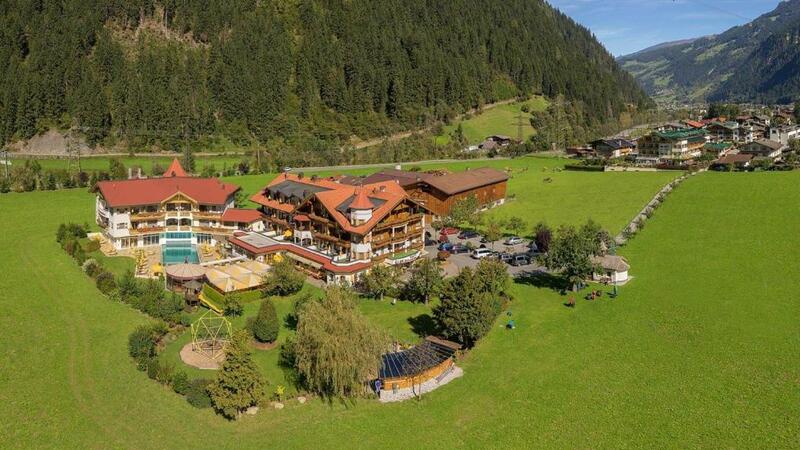 One of our top picks in Mayrhofen.Hotel Edenlehen enjoys a quiet location on the edge of Mayrhofen in the Ziller Valley, only a 10-minute walk from the town center and a 5-minute walk from the local cable cars, and offers a spa area with an indoor pool and a heated outdoor pool. Free WiFi access is available. Each room comes with flat-screen cable TV, carpeted floors, and a bathroom with hairdryer, bathrobes and free toiletries. Some have a balcony with mountain views. The spacious spa area includes a sauna complex. 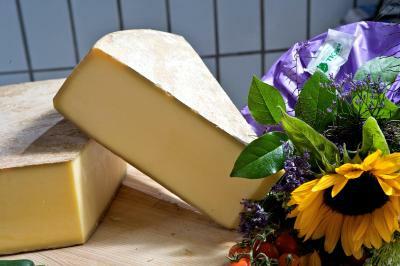 The restaurant serves dishes with home-made products from the on-site farm and cheese dairy. The Edenlehen is an ideal starting point for hiking and mountain biking tours. In winter, a free ski bus shuttle services are offered. 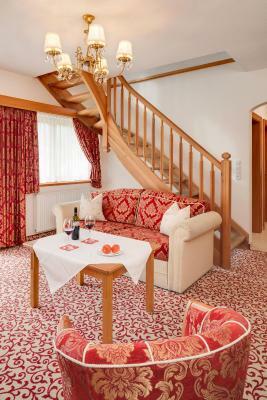 This is our guests' favorite part of Mayrhofen, according to independent reviews. 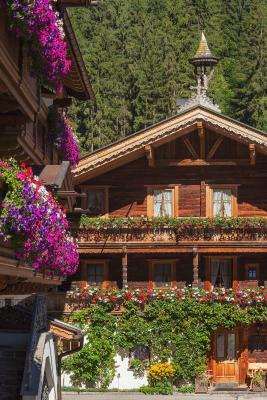 This property is also rated for the best value in Mayrhofen! Guests are getting more for their money when compared to other properties in this city. 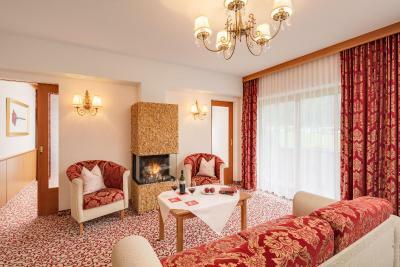 When would you like to stay at Hotel Edenlehen? 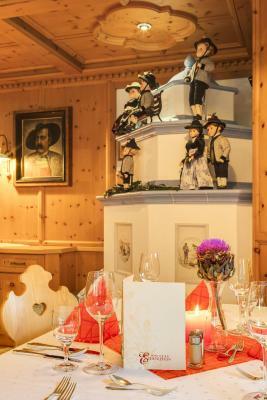 Room in Tyrolean style with an armchair, a balcony, and an anteroom. It also comes with a flat-screen TV with cable channels, free WiFi, a radio, a safety deposit box and a telephone. The private bathroom features a shower, a vanity mirror, a hairdryer and a toilet. Please note that on occasion, guests may need to change rooms during their stay (within the same category). This spacious, modern suite consist of a south-facing balcony, a waterbed, and a living area with a fireplace, a sofa, a desk, and an anteroom. The private spa area comes with a hot tub, a sauna, a steam bath and a massage table, and the bathroom includes a bath tub, a separate shower, a hairdryer and a vanity mirror. 2 flat-screen TVs with cable channels, a radio, a safe, a telephone and a mini-bar are also included. 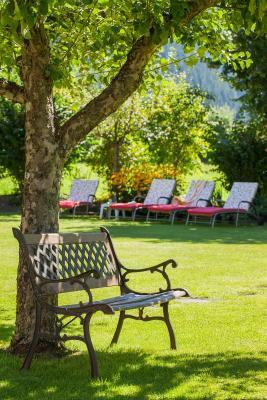 House Rules Hotel Edenlehen takes special requests – add in the next step! 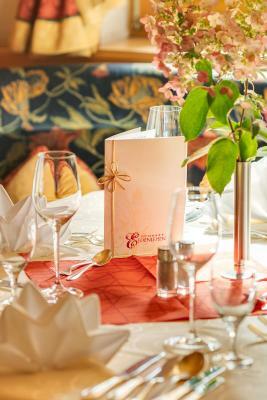 Hotel Edenlehen accepts these cards and reserves the right to temporarily hold an amount prior to arrival. Please also note that transfer of deposit money in case of cancellation of the guest might take some time. The duvet was a bit warm at night but the bed was quite comfortable. 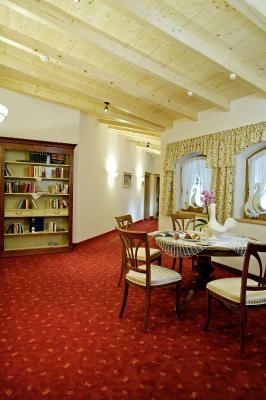 Great location - five minutes walking distance to both Penken and Ahornbahn (ski lifts). The hotel is gorgeous. 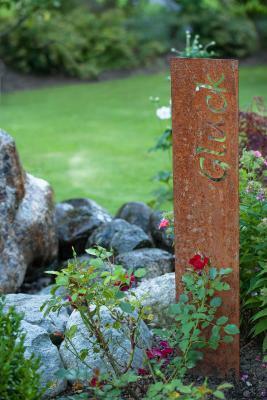 Great gardens (in case you have children or you do like gardens) and facilities (superb pool, very cozy). The staff is exceptionally friendly, very attentive, making eye contact, greeting and generally very helpful and willing to make one's stay a very pleasant one. Our waiter and waitress for breakfast and dinners were super friendly and very professional and well trained. 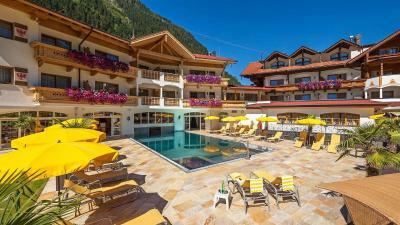 This hotel in Mayrhofen is great value for money. If you like your breakfasts, then don't look any further. Breakfast is awesome! Same holds true for the dinner - half-board which is terrific value for money (4 course menu and plenty of choice every day). 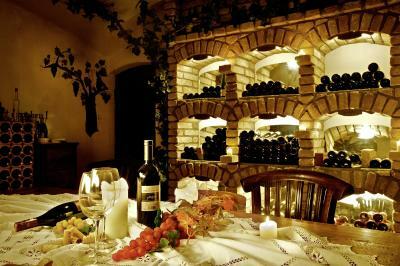 Great wine menu too (drinks, as is most often the case, are not included in the half-board but the drinks are very reasonably priced). Overall, a treat. 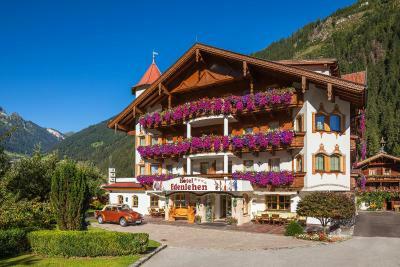 The hotel is a gentle walk away from Mayrhofen centre. This means you do not get all the noise from apres-ski and you can enjoy the beautiful views (meadows, etc.). We rented our snowboards near the ski lifts (Intersport there has a very good selection of gear) but personally I wouldn't mind carrying my snowboard from the hotel to the ski lifts (very short walk indeed). 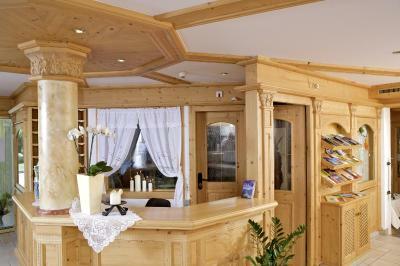 There is also a hotel bus to the ski lifts though in case you prefer not to walk. Smoking in the bar in the evenings is a real turn off. Smell permeates much of the ground floor rooms and even upstairs. smoking policy. Can smoke after 9am in bar. Football nights meant lots of attendees and smoke wafted upstairs too. ...else... would have been excellent for everything. Feather bedding, specifically asked for no feathers twice before I arrived and there were still some feather pillows which I am allergic to. Smoking is allowed in the bar which meant we couldn’t use it. Supposed to be after 9 but this wasn’t always the case. Perfect vacation in a perfect hotel! Great attention to detail. Fantastic meals. 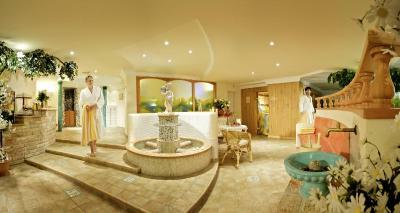 Food Friendly Staff Great facilities (Pool, Spa and Fitness Room) Clean and spacious. 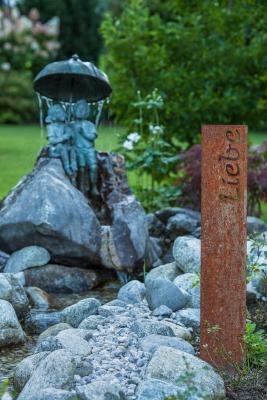 We stayed at Hotel Edenlehen for 11 nights and had a wonderful time. 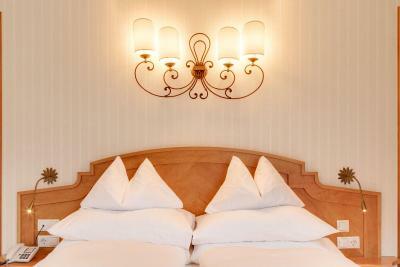 The hotel is fairly large but it has a great atmosphere with helpful and very friendly staff. The location is perfect, slightly out of the centre meaning it is relatively peaceful but within easy walking distance of the village. The two cable cars in Mayrhofen are within easy walking distance and the railway station and local bus stops are also close by. The room we stayed in was decorated in traditional style and was very spacious and spotlessly clean. As for food, there was with a good choice of main course for the evening meal which were all of a great standard and the desserts were delicious. Breakfast was also good with a good range of hot and cold options. 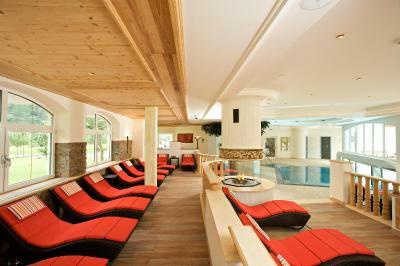 The spa and pool area were also excellent with nice relaxation areas both inside and out. We would have no hesitation in staying at this hotel if we holidayed in this area again ! A lovely hotel with an excellent inside outside pool to relax by. There is also a very pretty garden with further seating areas for sun bathing plus a very good children's play area. 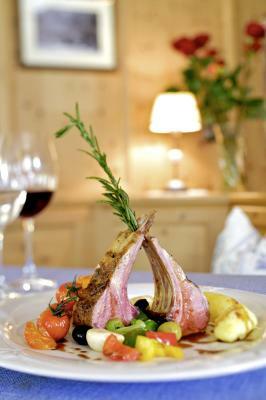 All the above can be enjoyed whilst looking at spectacular mountain views. Food was very good, particularly the extensive buffet breakfast, all served by very friendly attentive staff. My wife and I thought the positioning of the hotel was ideal. Far enough out of the town center (15 min walk) to be quiet and peaceful but still quite near (8 minute walk) the main lifts up to the mountain tops. The train and buses are all within walking distance. 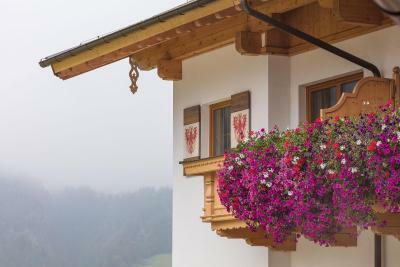 We visited in early September to enjoy the superb walking that Mayrhofen has to offer and thoroughly enjoyed our stay. So much so that we plan to go again in 2019. If you are British and wish to visit this hotel then I think it will be a trip that you must organise your self. Don't be put off, fly to Innsbruck or Munich. Public transport within Austria & Germany is very good and easy to negotiate and a train takes you right into Mayrhofen. Conversely hire a car to make the airport transfer.